In the past two calendar years, I’ve had to reject speaking pitches from some of the most brilliant marketers, writers, speakers and bloggers around. It’s frustrating for me as an SMX session coordinator, and I assume it’s frustrating for the person whose pitch wasn’t selected. If you’re brilliant and you want to speak on one of my sessions at SMX, I want you on the panel. But if your pitch doesn’t reflect your brilliance, it’s probably not gonna happen. Yes, SMX session coordinators are encouraged to be proactive in reaching out to speakers we want on our panels — which skips the pitch process altogether — and I do that when I have a specific speaker in mind for a session. But I also like to let that process play out before finalizing who’ll be on my panels. That means I see a lot of pitches: 20-30 per session on average, and sometimes more. Considering that most sessions will have no more than 3-4 speakers, it also means that I reject a lot of pitches. Over the past few SMX conferences, I’ve been writing down notes as I review the pitches that came in for my sessions. I’ve compiled those notes into these tips that I hope will help those of you who plan to submit SMX speaking pitches in the future. Again, these are not official — they’re my thoughts alone. 1.) Drill down on the topic. Think about the session topic and pitch a narrow aspect of it. Too many speakers want to speak on something generic like “how great blogging is,” but that’s too broad, and we can’t have 3-4 speakers all saying that same thing. Instead, pitch about a specific aspect of blogging — how to find content ideas, how to develop and stick with an editorial calendar, how to manage a multi-author company blog — and develop your pitch around that more specific element. Ross Hudgens’ recently shared some of his own tips after going through the pitching and speaking process on one of my sessions at SMX East. He pointed out that each session is supposed to have a narrative — to tell a story. Yes! You have to understand that the coordinator has an idea of what ideas NEED to be covered and is looking for speakers to address those ideas as closely as possible. 2.) Separate your bio and your session pitch. These are two separate fields on the pitch form. The session pitch field is first because that’s the most important thing. Don’t waste space in that field telling us about you and your background. Leave all that for the “bio” field. My first concern is about your content, so focus on that and follow along with some of the tips below. 3.) Don’t waste a lot of words writing a description of the topic. We already wrote and posted a description on the agenda. If you’re pitching a session about link building, don’t waste the first two paragraphs of your pitch telling us why link building is important. We know the topic is important — that’s why we have a session about it. Just get right into the meat of what you’d like to cover if chosen to speak. 4.) Details are great. Really great. Include as much detail about your presentation as possible. Give us an outline if possible with the key points you’ll make. Saying “I’ll tell the audience what tactics our clients use” isn’t enough — you need to tell us what those tactics are in the pitch. Saying “I’ll present case studies” isn’t enough — you need to give some detail about the case studies. A great pitch from a recent SMX conference was from one person who said “I’d like to share these tips” and went on to write what amounted to a full article describing the tips in detail. That helped me understand that this speaker knew what s/he was talking about. 5.) Watch your word choices. 6.) Tell us about timing. 7.) Flexibility is great. Really great. Always end your pitch with a note saying that you’ll be happy to tweak your presentation as needed to make sure there’s no overlap with another speaker. You’ve got to be flexible. You’re probably not going to be able to give a presentation on exactly what you pitch, but some elements of your pitch may be a perfect fit — be willing to change/edit your plans to fit what the coordinator needs. 8.) Don’t repeat presentations from other shows. Don’t plan on giving the same presentation that you’ve already given at another conference (SMX or otherwise). We really prefer to have fresh material unless we’ve specifically asked you to repeat something you’ve done before. Every so often, someone will submit the same generic pitch for 3-4 different sessions and say, “I’m happy to be on any of these panels.” It reflects better on you if you write specific pitches for each session that interests you. Note: Please don’t take that the wrong way. If you’ve never spoken publicly before, that’s okay and it’s not going to disqualify you from speaking at SMX. I remember when I got my first speaking break, and I love finding new speakers that need the same chance to give their first presentation. Again, these are my opinions and tips on what makes a good SMX speaking pitch; they’re not official. I don’t know if other session coordinators feel the same way. If you’re looking for more tips/advice, something closer to “official,” see this post on the SMX blog: The Best (Worst) Practices For NOT Being Invited To Speak At SMX. And if you’re thinking about pitching to speak at a future SMX conference, I hope this helps you write the best pitch possible. Thanks for the tips. Many points seem very applicable to pitches in other contexts too such as product, investor, “about my biz” presentations as well. Do you have any preferences or suggestions on session titles? Do you like it when people suggest their own? Also, as a speaker myself it is always awesome to gain some valuable insight from someone in a gatekeeper role. This post is definitely going into “Pocket.”. Hopefully see you at SMX one of these years! Hey Eric — with the SMX shows, we have two separate pitch periods. The first one is for session pitches, and we do invite people to suggest a title for the session itself. The second pitch period happens after the agenda has been finalized, session titles are set, and now we’re looking for speakers to fill open slots. So there’s no opportunity to pitch session titles in this second pitch period — and this is the period that I’m specifically referring to in the article. 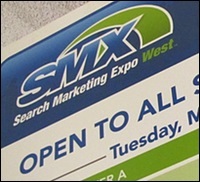 Hope you can make it to an SMX someday – would be great to hang out! And hope to see you there too! We Canucks (as I think you know) love to be hospitable too!